I was unable to attend classroom training, but thanks to aspire techsoft online training I had very good time. Thank you aspire techsoft for this course, i was really looking for sap bw on hana training in pune. Great institute for SAP BW on HANA. GO ahead with this course. Trainers are professional and real time practice. 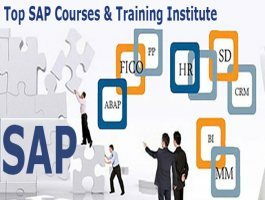 SAP (Systems, Applications & Products in Data Processing) is a German multinational software corporation that makes enterprise software to manage business operations and customer relations It is ERP (Enterprise resource planning) software consisting of various integrated modules providing business solutions. SAP software has three-tier application architecture: database, application server and client SAPgui (presentation layer). 2. 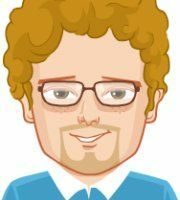 What is SAP BW on HANA? 3. Who can learn BW on HANA? 4. What is the Role of BW on HANA? SAP HANA Consultant is Responsible for Data Modeling, Data Provisioning, Integration, and Configuration. 5. What are the future opportunities for BW on HANA consultant? S/4 Hana is going to be in demand for at least next 10 years. As per one article, it is fastest growing technology for last 3 consecutive years. HANA future is super bright because of the advantages it provides. Better Security, Faster Processing,andscalability etc. It’s still in development phase therefore 3–5 years down the line it will be most successful and desired ERP Solution. Main Project:The student will work on 5 Data Flows provided by the Instructor. Good teaching staff, concepts are cleared through practical examples. thank you for providing good teaching facility. Proud to be Aspirant. Completed my BW course here and I am satisfied with training and placement.